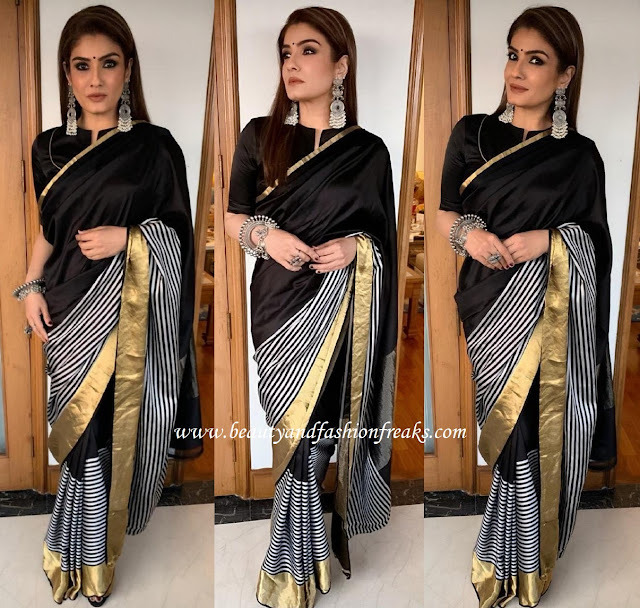 Raveena was recently photographed wearing a Raw Mango black sari. With her side parted sleek hair down; she completed her look with a Hermes tote, a black bindi and silver jewellery. Ms. Tandon looked lovely!